Develops and enhances skills in leadership, service, and communications. 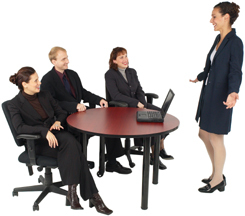 Delivers highly interactive training where participants learn by doing. Partners with your management and human resources staff through the planning, training, and follow up processes. Satisfies each and every participant. Provides Manager Reviews after training so that team leaders can reinforce what was learned in the training and maintain momentum. 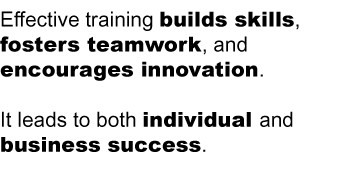 For a training program that is sure to meet your objectives, align with your goals and stimulate your employees, contact Business Solutions Training today.